A midwife has been struck off after she failed to tell doctors that an aborted baby was alive and also told a concerned relative that he was moving all four limbs because of a ‘reflex’. 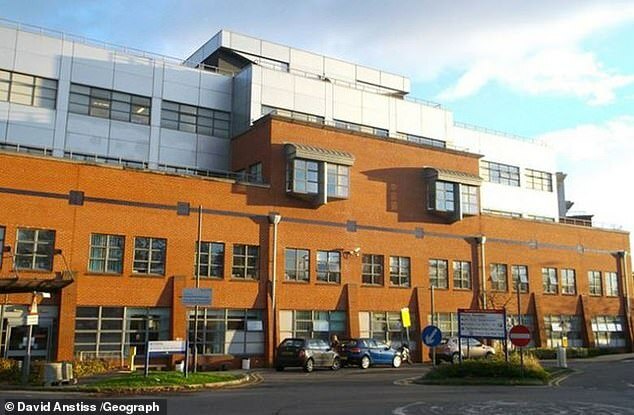 The baby clung to life for 15 minutes before his heart stopped, with Bernadette Joanna Kelly wrapping him in an incontinence pad at the Medway Maritime hospital, in Gillingham, Kent. Details of the tragedy emerged at a tribunal of the Nursing and Midwifery Council, which will remove Miss Kelly from the register next month. The hearing was told the baby had showed signs of life, with all four limbs moving, after it was terminated early because of severe genetic defects. The baby was born at too early a stage to live but instead of informing senior staff, Miss Kelly wrapped the foetus in an incontinence pad and kept quiet for seven hours. She admitted wrongdoing to the council but a panel said she did not act dishonestly, as she genuinely believed the baby was experiencing a reflex action when it was born. However, they found that she should have immediately told other staff about the incident and documented what happened. The child’s parents said they were happy with the care they received from Miss Kelly on April 5, 2015, but the NMC she fell far short of the standards required. They said it was important she notified others so a death certificate could be issued. Without one, a postmortem would be needed ‘which can cause additional distress to the family’, they said. The midwife said she used an incontinence pad to swaddle the dying baby ‘because his skin was fragile and transparent’. She said she was ‘concerned that sheets and blankets would be too rough’. And she said that she tried to inform a senior colleague about the signs of life but was waved away twice. The other member of staff denied any conversations had taken place, and the NMC found against Ms Kelly. After finishing the shift on Kelly went back to work later that day and botched care for another high-risk woman. The panel was told that she didn’t spot key signs that an unborn baby was in distress before his tragic stillbirth. Miss Kelly, who is from West Sussex and who no longer works as a midwife, was struck off after telling the disciplinary hearing the experiences were ‘hellish’ and she had no plans to return to midwifery. A hearing heard she ‘didn’t care’ what its outcome was, while Tim Mann, from the NMC, said she displayed ‘no remorse’ while spending 18 months suspended. He said: ‘The panel took into account that Ms Kelly’s registration has already been subject to an 18 month period of suspension. Ms Kelly has not used that period of suspension to reflect or to remediate her practice. ‘The panel therefore considered that it is unlikely that she would use a further suspension for these purposes. ‘The panel therefore concluded that it was not in the public interest to impose a further period of suspension on a midwife who has totally disengaged from the regulatory process. ‘The panel concluded that a further period of suspension would not serve any useful purpose in all of the circumstances. Karen Rule, executive director of nursing at Medway NHS Foundation Trust said: ‘The actions of the midwife in 2015 were wholly unacceptable and not of the high standard of care that we expect of our staff. We would again like to offer our sincere apologies to the families involved. ‘As soon as we became aware of concerns around the midwife’s practice, we began a formal investigation into these incidents. While the investigation was taking place, she worked under constant supervision and did not see patients without a senior member of staff in attendance at all times. ‘One of the outcomes of the investigation was that the midwife did not follow the clear and formal procedures we have in place for when a baby is born at an early gestation and unexpectedly shows sign of life.